After a rather big night out with the girls I am feeling a smidgen jaded and have a wee tiny hangover. Sunday lunch with the family today and unfortunately I’m on cooking duty. The last thing I feel like doing is cooking! Can I go back to bed please…… Something simple and quick is in order me thinks. A whip round in Tescos for some essentials – tasty tart and salad, that’ll do nicely. Did I mention how much I love puff pastry? Shop bought puff pastry is a winner every time. No faffing around making your own and to make it even easier you can get ready rolled pastry – how good is that? 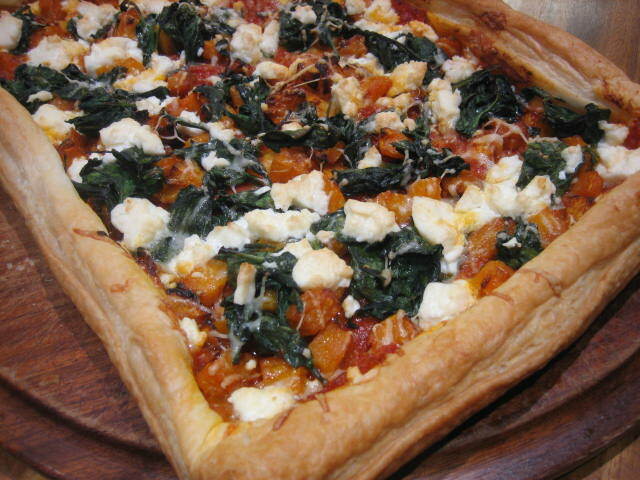 Tarts are very simple and you can pretty much put anything on them. Mushrooms and caramelised onion, leek and Gruyere, Roasted tomato, basil and goats cheese etc etc. There are so many different combos to chose from. You can even do fruity sweet tarts too. YUM! 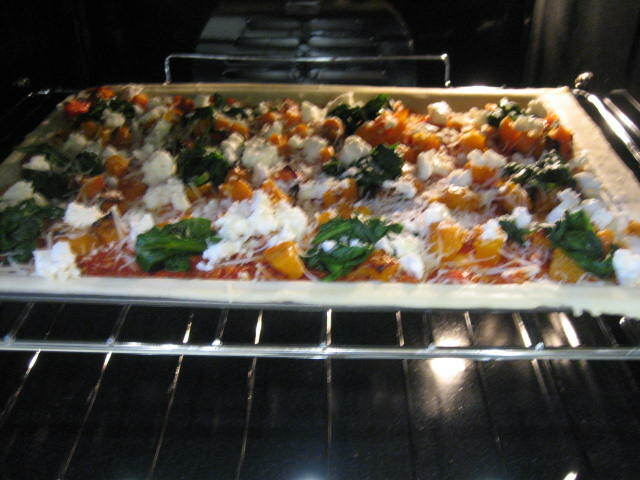 First thing you will need to do is get the butternut squash prepared and in the oven to roast. 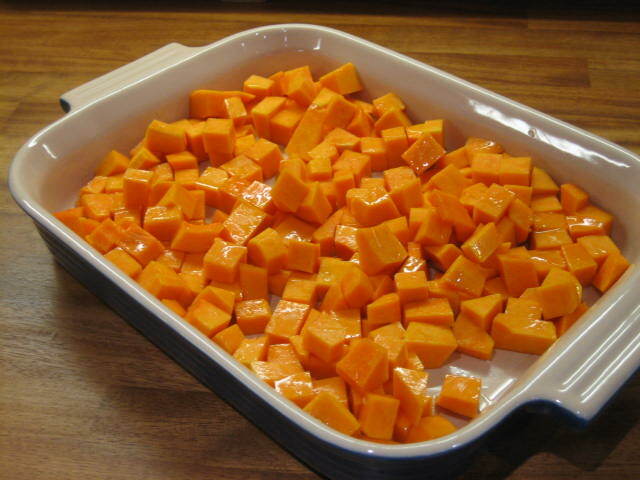 Peel the squash and dice into 1cm cubes. One of my friends recently posted a status update on Facebook whingeing about how he had just been struggling with peeling a butternut squash. His biggest mistake was he was using a peeler. I strongly recommend you do not “peel” a squash you cut the peel off with a sturdy chef knife. Cut the top and the bottom off so that it sits on the board without rolling around then cut the bulbous end off (the bit with the seeds in). You should be left with the long thinner part and the bulbous bit. This will make cutting the peel off a heap easier. Does that make sense? 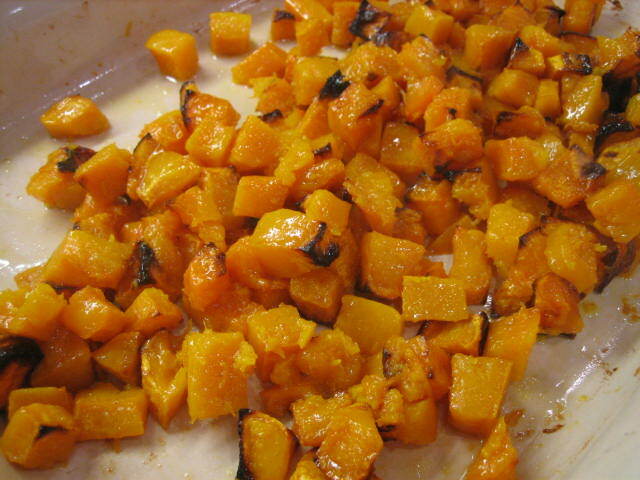 Ok now you have your butternut squash diced, pop it into a roasting tin or oven proof dish season with salt and pepper and toss in olive oil so it is evenly coated. Roast in the oven at about 180 degrees for 30 mins or until soft and golden. 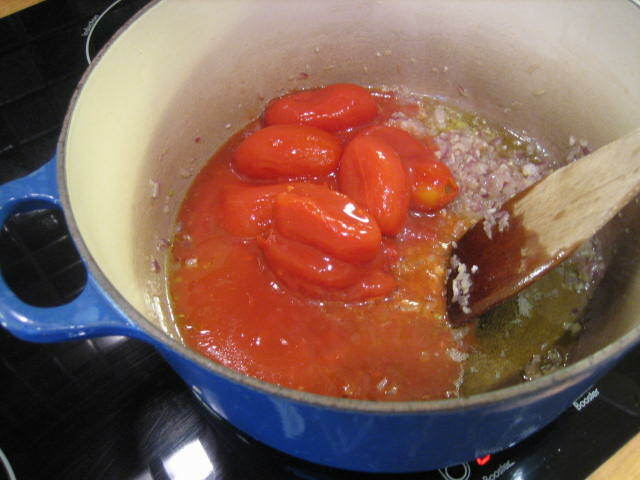 While the squash is roasting you can make the tomato sauce. Finely dice the onion and crush the garlic. Saute on a low-medium heat with a good hearty glug of olive oil and a pinch of salt. 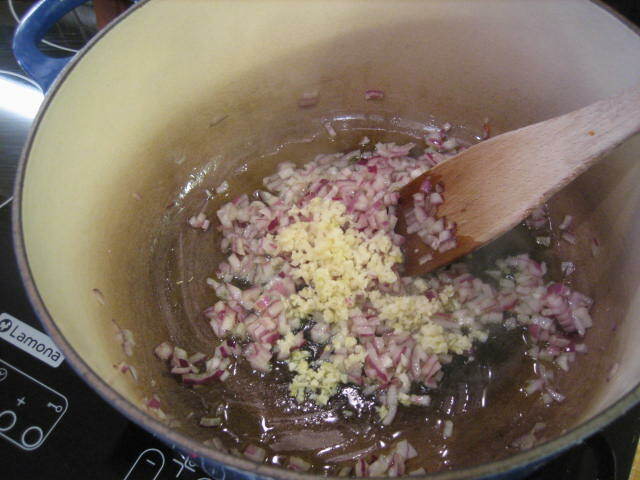 Cook until soft and sweet and the harshness of the onions has disappeared. 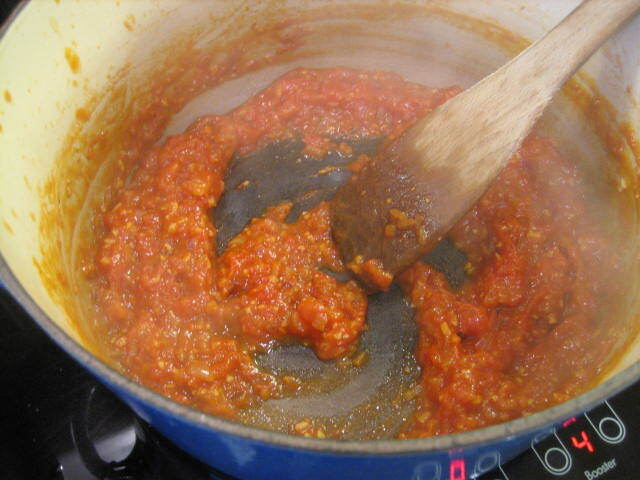 Add the tinned tomatoes and simmer until tomatoes have broken down and sauce has thickened up – about 30 minutes. The sauce needs to be the consistency of a pizza sauce. 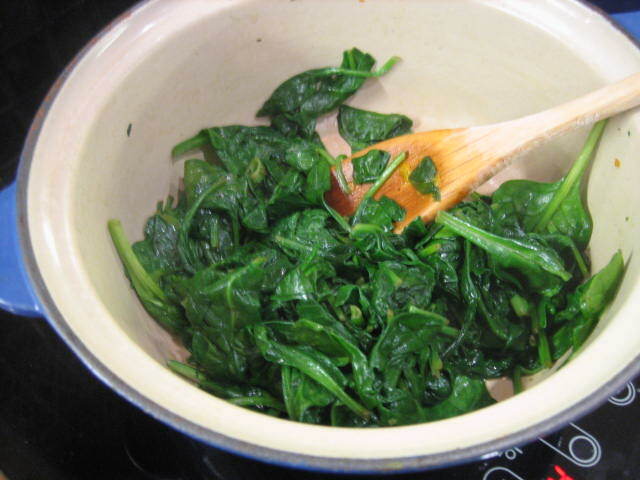 Wash the spinach and saute in a pot with a splash of olive oil and season with S & P. Cook until just wilted then squeeze out the excess liquid through a sieve or colander. Time to put the tart together. 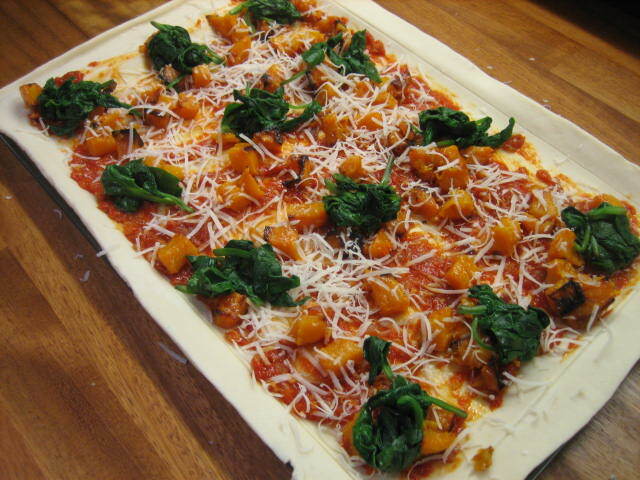 Pop the sheet of puff pastry onto a non stick baking sheet. 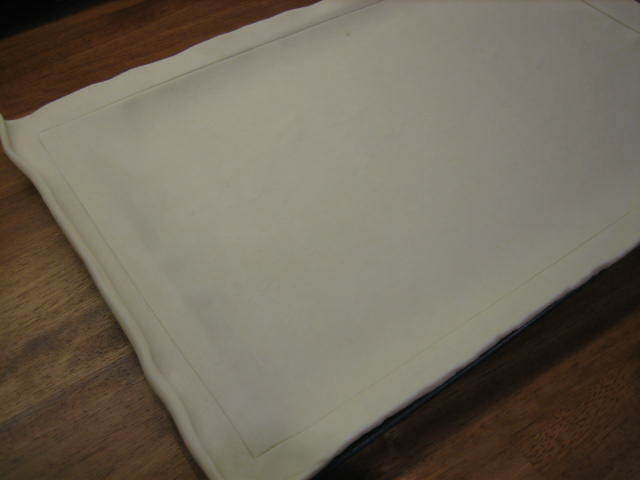 Score the pastry sheet along each edge about 2 cm in to create a border. 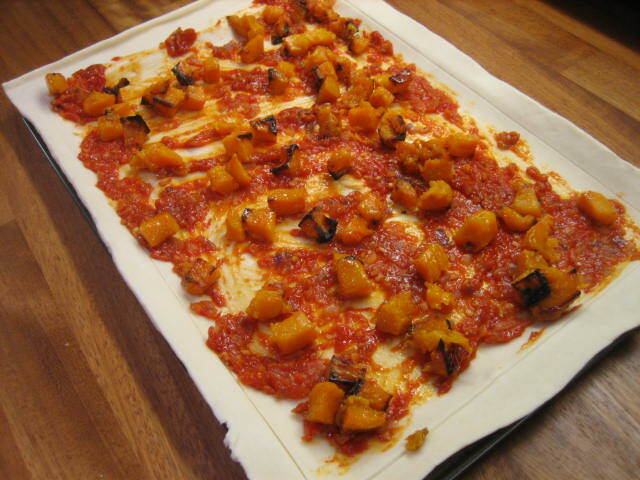 Spread the inside of the tart (not the edge part) with tomato sauce. 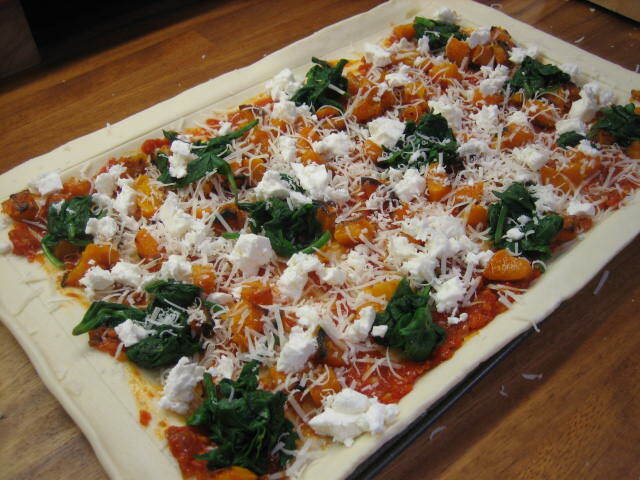 Finely grate over some Parmesan, sprinkle with butternut squash and dot with spinach. Crumble over 1/2 the feta and pop in a preheated oven 180 degrees Celsius for 20 minutes or until edges have puffed up and pastry is golden. 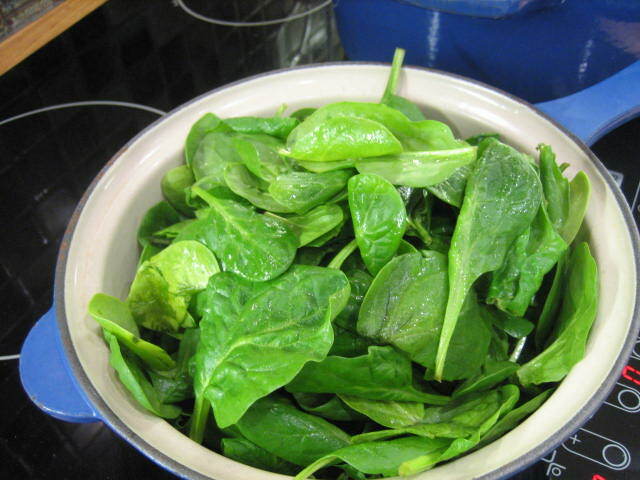 Serve immediately with a huge bowl of salad. You will probably have enough to make 2 tarts and depending on how greedy your guests are it’s probably worthwhile having another puff pastry sheet on hand just in case (we had 2 between 5 of us AKA greedy).